By Ralph "Yankee" Arnold. 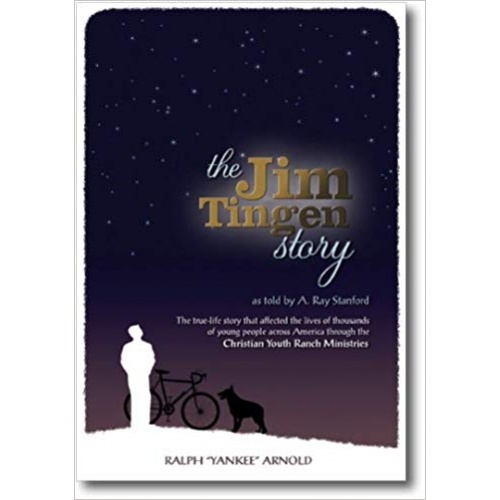 The incredible true life story of a young boy who attended a teenage Bible study and heard the Gospel story from Dr. A. Ray Stanford and trusted Christ as his savior. The stories of his spiritual life runs the gamut of all the emotional highs and lows, of tears and laughter; a young boy who was willing to give his life in order for his older brother to come to Christ and trust Him as his savior. For over 50 years, his testimony has inspired thousands to trust the Lord and many more to dedicate their live to the Lord. softcover - 90 pages. Price includes standard shipping within the continental U.S. Please call for rates to other locations.